I have recently bought a 300 CRD with an oil leak. I am fairly sure the leak is engine oil as it is black. I have removed the plastic belly pan under the car and have cleaned up as much oil as I could to try and trace the leak. The top half of the engine bay appears to be oil free. 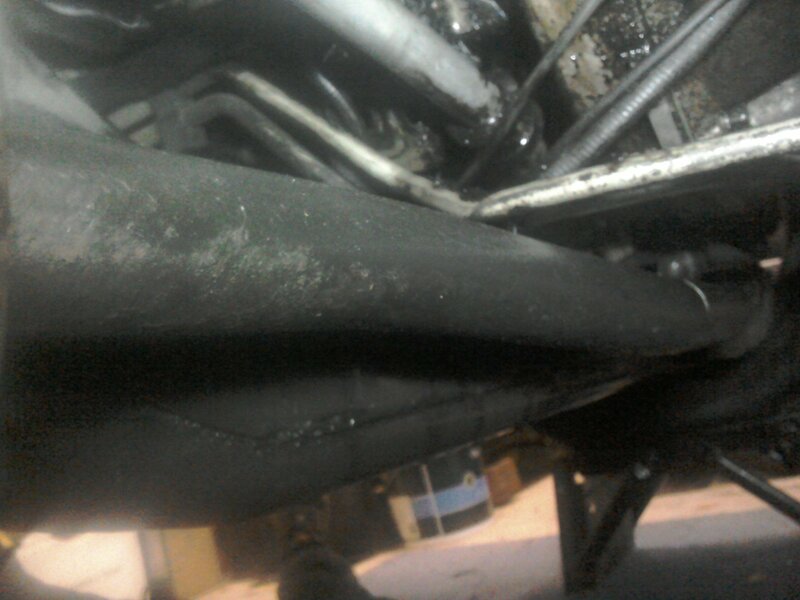 The oil seems to be collecting on the cross member and also the anti-roll bar, before dripping off. I have now taken the car for a quick run then put it back up on ramps. It looks to me like the oil is leaking from some rubber seals(?) 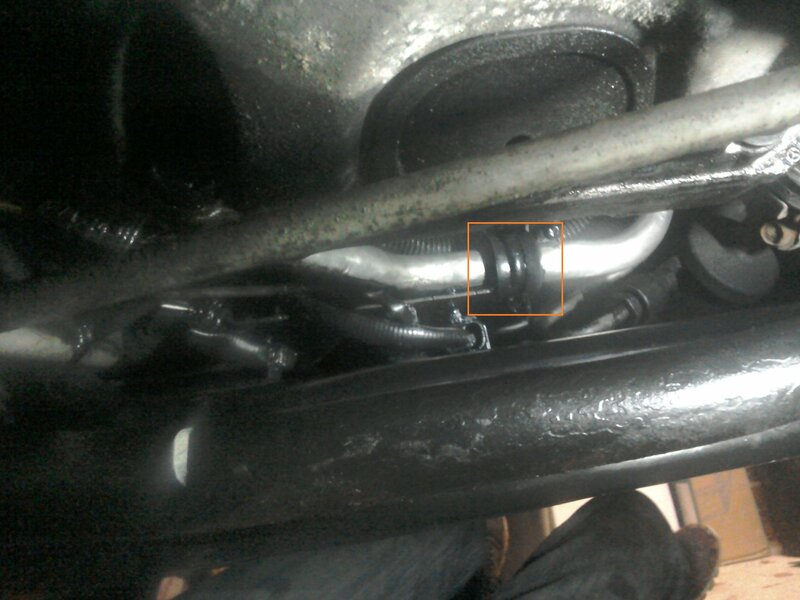 that are in at least 2 places along a length of thin metal pipe (see first photo, highlighted) The thin metal pipe runs parallel with the cross member and ant-roll bar, before turning upwards towards the top of the engine bay. I think the starter motor is positioned just above this. I have attached various photos. Please could someone advise what this pipe is and if the seals(?) are replaceable. Also any other suggestions as to where the leak may be coming from in case I have misdiagnosed. Last edited by AB77; 01-20-2019 at 09:34 AM. Good luck with your diagnosis and repair. I have absolutely no experience with the CRD engines so I'm afraid I will be of no help whatsoever. Hopefully come of our owners with that engine can help. Oil leaks can sometimes be difficult to trace, as the evidence may be seen some distance from the actual leak. 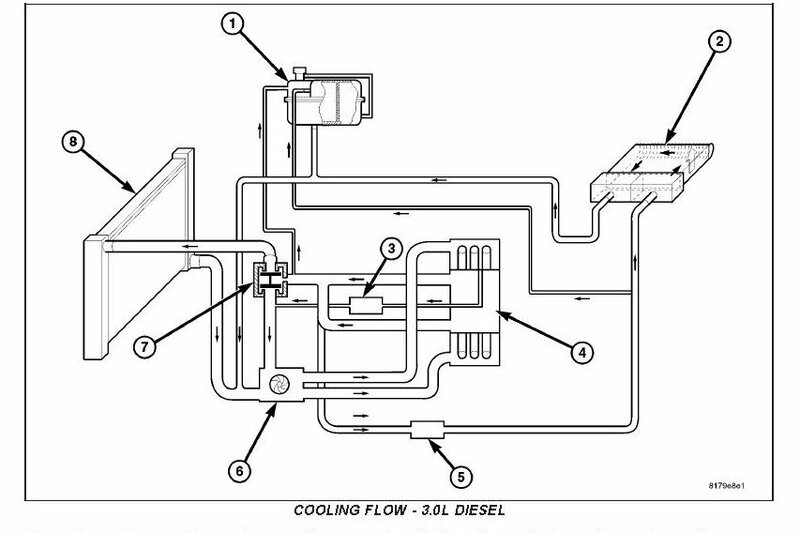 One known problem area with the CRD is the oil cooler located at the bottom of the "V". The seals can perish if diesel from the fuel filter pipework directly overhead is leaking on to them. So I would check to see if this has been happening. Replacement seals are inexpensive, but access is difficult. 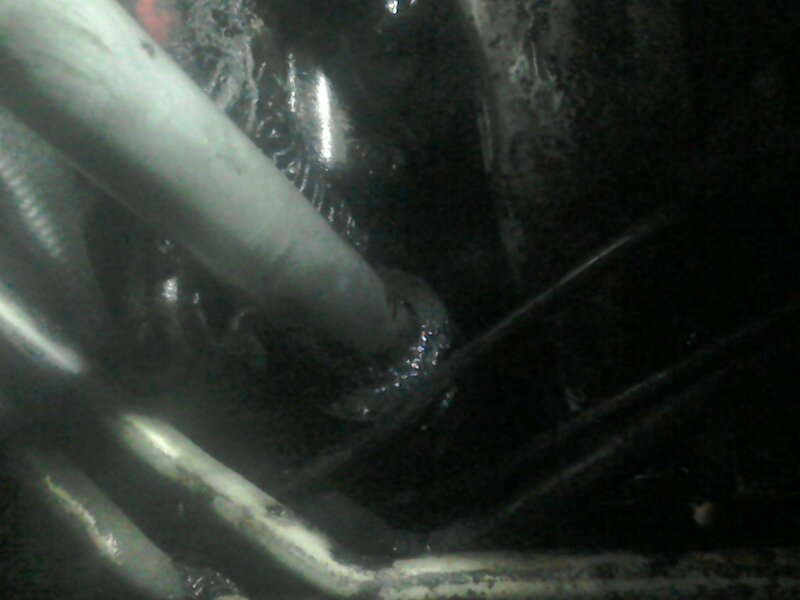 I have looked carefully at the highlighted pipe and rubber seals/joints in photo 1 and am fairly sure the oil is weeping out of here. (I could be wrong and am hoping it is not the oil cooler as I have read from the forum it is difficult to access). Could anyone advise please what this pipe is (photo 1) and if the rubber seals/joints are replaceable? Sorry, can't help with pipe identification as I've never viewed the underside of the engine - I do my oil changes from the top. Can you describe where the top end (Pic #1 ) goes, as it's not clear in photo? Could it be an intercooler pipe drawing in oil via the turbo and PCV valve? I have been under the car again this afternon. It actually looks like the metal pipe highlighed in pic 1 goes up from the left (passenger) side to the bottom of coolant reservoir/tank so it must contain coolant. Presumably the oil I am seeing on the small rubber joints (highlighted in pic 1) therefore is not coming from this rubber joint. Seems odd though because if I move this rubber joint a small amount of oil appears. I have looked hard with an inspection light underneath and can only assume the oil is coming from a little higher up. Most of the drips of oil are on the cross member and anti roll bar, just below what I think is the starter motor (see pic 3). 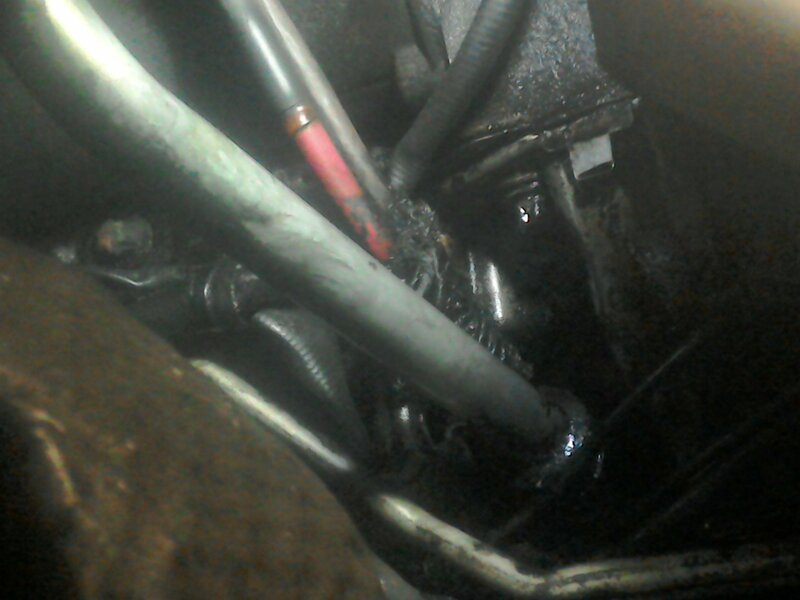 There is also quite a lot oil on th various electrical connections just above the cross member and anti roll bar. It is not a big leak but it is making a mess underneath the car and some drops on the drive. 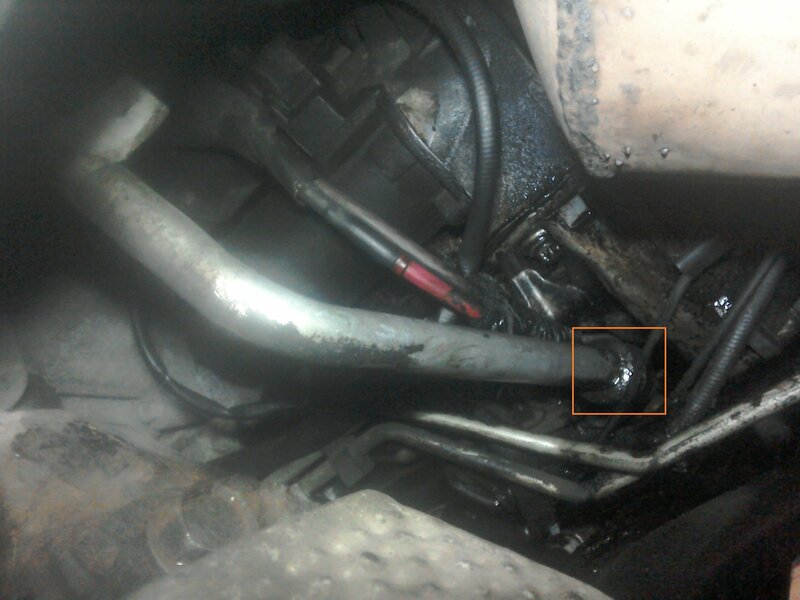 There is a pipe which goes from the coolant reservoir (1) to the pump (6) on the engine; perhaps this could be where the oil is collecting, but is not the source of the leak. I've been reading up on the oil cooler seals....it does sound quite likely. I see there are many references to failed oil cooler seals on this forum. Presumably this isn't a DIY job? I can't seem to find any step by step instructions and it sounds a difficult procedure. If it isn't something I can attempt, can anyone recommend a garage that have experience of replacing these oil cooler seals? I live in Hampshire but would be happy to travel to get the job done properly. Also, an idea of cost and time would be really helpful. This isn't a job I would wish to tackle. Maybe 50 or 60 yrs ago, but not in my dotage. I would look for an independent Merc specialist - I think there are several in Hants. Failing that, a Jeep dealer. I sometimes have work done by a Merc/Jeep dealer in Beaconsfield, but they might be a bit out of your way.